China is confident that foreign direct investment will continue to remain stable in the second half of this year, a senior government official said on Friday. China is confident that foreign direct investment will continue to remain stable in the second half of this year, in spite of the severe FDI stress from global aspects, a senior government official said on Friday. 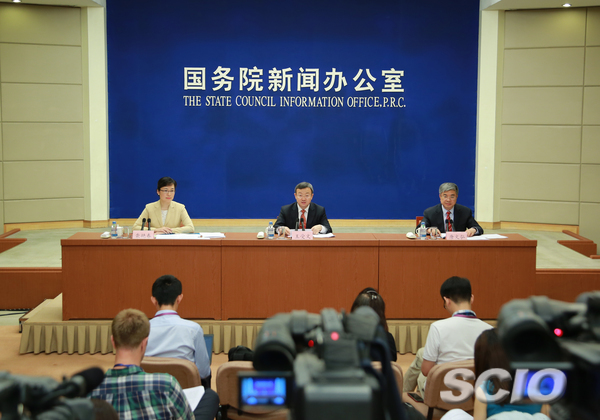 "The nation's FDI remained stable from January to April, which was 286.8 billion yuan (US$44.8 billion), up 0.1 percent year-on-year," said Wang Shouwen, vice minister of commerce, during a news conference. "It is a hard-earned result, and I am confident that the trend will continue throughout this year." He said that according to the United Nations Conference on Trade and Development's 2018 World Investment Report, global flows of FDI declined by 23 percent to US$1.43 trillion in 2017, and major countries didn't achieve ideal FDI results in the first quarter of this year as well. "Despite a tough environment globally, I think China's FDI performance from January to April is very valuable," Wang said. He mentioned that recently, the American Chamber of Commerce has issued a report that one-third of American enterprises plan to increase their investments in China by at least 10 percent, demonstrating foreign companies' interest and confidence in spending money in China. According to Wang, a notice about "measures on active and effective utilization of foreign investment in promoting high-quality economic development" will be distributed by the State Council soon, as guidance to further promote the country's investment inflow. The measures will cover the liberalization, facilitation, promotion and protection of investment, and will also include improving regional opening-up, as well as promoting innovation in national development zones. By July 1, newly revised negative lists of foreign investment for the whole country and the pilot free trade zones will be carried out, and the system of pre-establishment national treatment plus negative list will be fully implemented. "Those measures, together with previous related policies on further opening-up, optimizing investment environment, and encouraging foreign investments, are attractive to foreign enterprises," Wang said. "We welcome foreign enterprises to invest in China, and I am confident about the future."